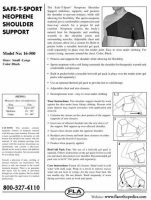 The Safe-T-Sport Neoprene Shoulder Support stabilizes, supports, and protects the shoulder to prevent reinjury, while still allowing for flexibility. The sports neoprene material gives comfortable compression and four-way stretch for a proper fit and comfort. 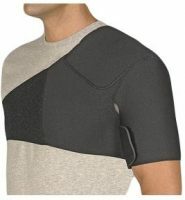 Neoprene retains the body’s natural heat for therapeutic and soothing warmth to the shoulder joints and surrounding muscles. Adjustable chest and arm closures allow for a custom fit. 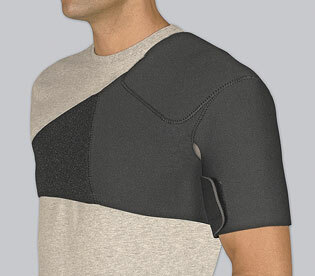 Built-in pocket holds a resusable hot/cold gel pack (sold separately) in place over the tender joint. Easy to wear under clothing.